Caffeine (1,3,7-trimethylxanthine) is a naturally derived stimulant found in many nutritional supplements  and is the most frequently ingested substance in the world . It is found in coffee, guarana tea, soft drinks, energy drinks, and chocolate, yet it can also be artificially synthesized in the laboratory . Caffeine is most commonly used to improve mental alertness and has also been shown to positively affect energy expenditure and can be an effective ergogenic aid . 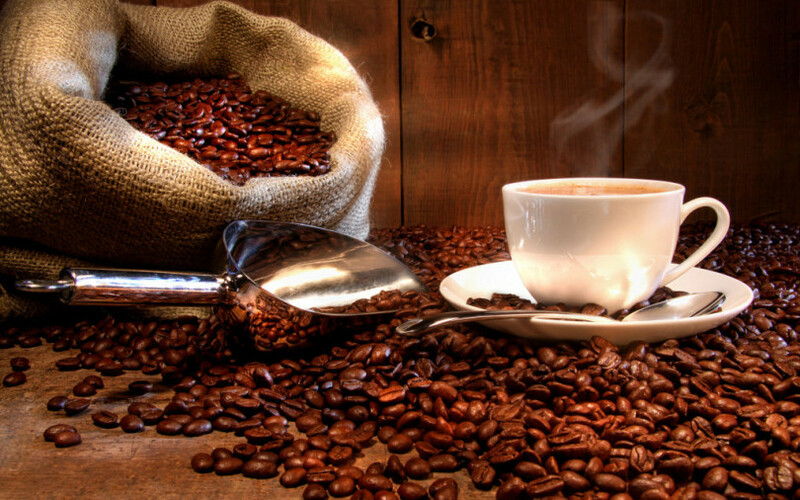 Caffeine anhydrous is a form of caffeine typically found in sport supplements. Anhydrous stands for “without water” which means it is a dehydrated caffeine. Caffeine is effective for enhancing sport performance in trained athletes when consumed in low-to-moderate dosages ( around 3-6 mg/kg) and does not further enhance performance when consumed in higher dosages (≥ 9 mg/kg) . Lower doses (1 mg per kg of body mass) have failed to improve performance . Pure caffeine anhydrous (in capsules or powder) is usually ingested in studies that investigate the effects of caffeine on sports performance . Although there is limited information about effects of caffeine on high intensity exercise performance, Emily Kammerer et al. hypothesized that caffeine containing drink would significantly increase muscle explosiveness in bench throws compared to placebo. Data collected supported their hypothesis that muscle explosiveness would be significantly increased. There are also many other studies that repeatedly report caffeine ergogenic effect (with doses ranging from 3 to 9 mg / kg) in various exercises [6-10]. Demura et al. examined the effects of caffeinated coffee (moderate dose at 6 mg/kg) vs decaffeinated coffee on submaximal cycling. The only significant difference was a decreased rate of perceived exertion (RPE) for the caffeinated coffee. Caffeine has been shown to be ergogenic for sustained maximal endurance exercise, and has been shown to be highly effective for time-trial performance as well as high-intensity exercise categorized by intermittent activity within a period of prolonged duration . However, its effects on strength-power performance are still not clear. One of the first studies  to evaluate caffeine’s effect on strength and power in elite male athletes reported significant (P – 0.05) strength and power increases at a dose of 7 mg/kg and possible reductions in post-test strength loss in some variables. Observed positive effects were attributed to previous in vitro findings such as decrease in the rate of calcium ion uptake, rapid release of calcium ions and increased intracellular cyclic adenosine 5′ monophosphate (AMP) levels. On the other hand, at a similar dose and on two separate occasions, Williams and associates [27,28] failed to find significant changes in isometric strength, time to fatigue, or power. In twenty-two resistance-trained men, acute caffeine intake at a dose of 6 mg/kg failed to significantly alter muscular strength or endurance during intense bench press or leg press exercise . A randomized, double-blinded, placebo-controlled, parallel design study, in 27 resistance trained men, examined acute effects of a caffeine-containing supplement (about 201.0 mg of caffeine) on upper- and lower-body strength and muscular endurance as well as anaerobic capabilities . Results indicated that ingestion of the caffeine-containing supplement resulted in an acute increase in upper-body strength in resistance-trained men. It did not, however, have an effect on lower-body strength, muscular endurance, anaerobic capabilities, or upper-body muscular endurance. A very recent meta-analysis  reported that no significant effects were identified for gender, muscle location, muscle size, dosage of caffeine or form or timing of pre-exercise caffeine consumption on performance at maximum strength. Note: Extreme levels of caffeine are illegal in sanctioned competition and may also present potential health risks. Caffiene is claimed to increases energy expenditure both at rest and during sports, and thus increase lipolysis and fatty acid oxidation. It may also use lipids as energy source during aerobic exercises. However, a group of brazilian researchers  investigate if caffeine can influence lipid profile in trained cyclists and conclude that it doesn’t alter lipid profile in cyclists. Many studies [16-23] evaluated caffeine as a substance that enhances analgesic effect. For some time, caffeine has even been added to formulations containing aspirin, acetaminophen and other non-steroidal anti-inflammatory drugs (NSAIDs) . However, at that time caffeine has probably been added in order to postpone potential sedative effects rather than enhance analgesic effect. Some early studies showed that addition of caffeine increases analgesic effect for aspirin and acetaminophen which established its reputation as adjuvant analgesic. However, later studies reported that addition of caffeine may be useful for headache management , but for post-surgical pain adding caffeine to aspirin or acetaminophen has little effect [22,23]. Two studies [17,18] in college-aged population suggest that caffeine ingestion is associated with a high to moderate hypoalgesic effect during high-intensity cycling. 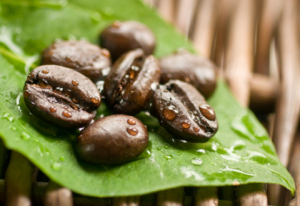 Both caffeine intake and withdrawal can lead to headaches in some situations . Cessation of habitual caffeine consumption leads to withdrawal syndrome which includes headache and fatigue. Onset of withdrawal syndrome is 12-24 hours, it peaks at 24-48 hours and lasts about a week . Discontinuation of chronic caffeine ingestion has been shown to produce supersensitivity of adenosine receptors in animals and humans . This suggests that caffeine withdrawal headache may involve supersensitivity of A1 receptors on nociceptors (sensory nerve cells that send signals to the spinal cord and brain that lead to pain). When taken in large amounts (over 10 grams) caffeine overdose can occur, resulting in a state of central nervous system over-stimulation called caffeine intoxication . Side effects from ingesting large dose are exacerbated dehydration and fatigue, delirium, anxiety, memory impairment, hallucinations , irregular heartbeat and even death . Typical doses used ranges up to 500 milligrams and its ordinary use can have low health risks (likely safe ) even when carried on for years. Studies evaluating risks of caffeine consumption during pregnancy are ambiguous, thus caffeine intake during pregnancy should be limited . Del Coso, Juan, et al. “Dose response effects of a cafeine-containing energy drink on muscle performance: a repeated measures design.” J Int Soc Sports Nutr 9.1 (2012): 21. Nawrot, Peter, et al. “Effects of caffein on human health.” Food Additives & Contaminants 20.1 (2003): 1-30. Kreider, Richard B., et al. “ISSN exercise & sport nutrition review: research & recommendations.” J Int Soc Sports Nutr 7.7 (2010). Goldstein, Erica R., et al. “International society of sports nutrition position stand: caffeine and performance.” J Int Soc Sports Nutr 7.1 (2010): 5. Kammerer, Emily, et al. “The effects of a cafeine-containing beverage on muscle explosiveness during ballistic bench throws.” Journal of the International Society of Sports Nutrition 9.1 (2012): 1-1. Del Coso, Juan, Emma Estevez, and Ricardo Mora-Rodriguez. “Cafeine effects on short-term performance during prolonged exercise in the heat.” Medicine and science in sports and exercise 40.4 (2008): 744. Bruce, Clinton R., et al. “Enhancement of 2000-m rowing performance after caffeine ingestion.” Medicine and science in sports and exercise 32.11 (2000): 1958-1963. Carr, A., et al. “Effect of cafeine supplementation on repeated sprint running performance.” Journal of Sports Medicine and Physical Fitness 48.4 (2008): 472-478. Glaister, Mark, et al. “Caffein supplementation and multiple sprint running performance.” Medicine+ Science in Sports+ Exercise 40.10 (2008): 1835. Erica, Goldstein, et al. “Caffein enhances upper body strength in resistance-trained women.” Journal of the International Society of Sports Nutrition 7 (2010). Jenkins, Nathan T., et al. “Ergogenic effects of low doses of cafeine on cycling performance.” International journal of sport nutrition and exercise metabolism 18.3 (2008): 328-342. Marangon, Antonio Felipe Correa, Tatiana Helou, and Deilys Vazquez Gonzalez. “Effect of cafeine on lipid profile in ciclism practitioners.” Journal of the International Society of Sports Nutrition 9.Suppl 1 (2012): P20. American Psychiatric Association. (1994). Diagnostic and Statistical Manual of Mental Disorders (4th ed.). American Psychiatric Association. ISBN 0-89042-062-9. Mayo Clinic staff. “Pregnancy Nutrition: Foods to avoid during pregnancy”. Mayo Clinic. Retrieved 2012-04-15. Sawynok, Jana. “Cafeine and pain.” Pain 152.4 (2011): 726-729. Gliottoni, Rachael C., and Robert W. Motl. “Effect of caffein on leg-muscle pain during intense cycling exercise: Possible role of anxiety sensitivity.” International journal of sport nutrition and exercise metabolism 18.2 (2008): 103. Gliottoni, Rachael C., et al. “Effect of caffein on quadriceps muscle pain during acute cycling exercise in low versus high caffeine consumers.” International journal of sport nutrition 19.2 (2009): 150. Sawynok, Jana, and Tony L. Yaksh. “Cafeine as an analgesic adjuvant: a review of pharmacology and mechanisms of action.” Pharmacological Reviews 45.1 (1993): 43-85. Myers, Daniel E., Zakir Shaikh, and Thomas G. Zullo. “Hypoalgesic effect of cafeine in experimental ischemic muscle contraction pain.” Headache: The Journal of Head and Face Pain 37.10 (1997): 654-658. Zhang, Wei-Ya. “A benefit-risk assessment of cafeine as an analgesic adjuvant.” Drug Safety 24.15 (2001): 1127-1142. Zhang, W. Y., and A. Po. “Analgesic efficacy of paracetamol and its combination with codeine and cafeine in surgical pain–a meta‐analysis.” Journal of clinical pharmacy and therapeutics 21.4 (1996): 261-282. Zhang, W. Y., and A. Po. “Do codeine and cafein enhance the analgesic effect of aspirin?—A systematic overview.” Journal of clinical pharmacy and therapeutics 22.2 (1997): 79-97. Griffiths, Roland R., and Phillip P. Woodson. “Cafeine physical dependence: a review of human and laboratory animal studies.” Psychopharmacology 94.4 (1988): 437-451. Goldstein, Erica R., et al. “International society of sports nutrition position stand: caffine and performance.” Journal of the International Society of Sports Nutrition 7.1 (2010): 5. Jacobson, B. H., et al. “Effect of caffene on maximal strength and power in élite male athletes.” British journal of sports medicine 26.4 (1992): 276-280. Williams, Jay H., William S. Barnes, and Walter L. Gadberry. “Influence of cafein on force and EMG in rested and fatigued muscle.” American Journal of Physical Medicine & Rehabilitation 66.4 (1987): 169-183. Williams, J. H., et al. “Caffine, maximal power output and fatigue.” British journal of sports medicine 22.4 (1988): 132-134. Demura, Shinichi, Takayoshi Yamada, and Naoko Terasawa. “Effect of coffee ingestion on physiological responses and ratings of perceived exertion during submaximal endurance exercise.” Perceptual and motor skills 105.3_suppl (2007): 1109-1116. Astorino, Todd A., Riana L. Rohmann, and Kelli Firth. “Effect of cffeine ingestion on one-repetition maximum muscular strength.” European journal of applied physiology 102.2 (2008): 127-132. Beck, Travis W., et al. “The acute effects of a caffeie-containing supplement on strength, muscular endurance, and anaerobic capabilities.” Journal of strength and conditioning research 20.3 (2006): 506. Polito, M. D., et al. “Acute effect of caffine consumption on isotonic muscular strength and endurance: A systematic review and meta-analysis.” Science & Sports 31.3 (2016): 119-128.